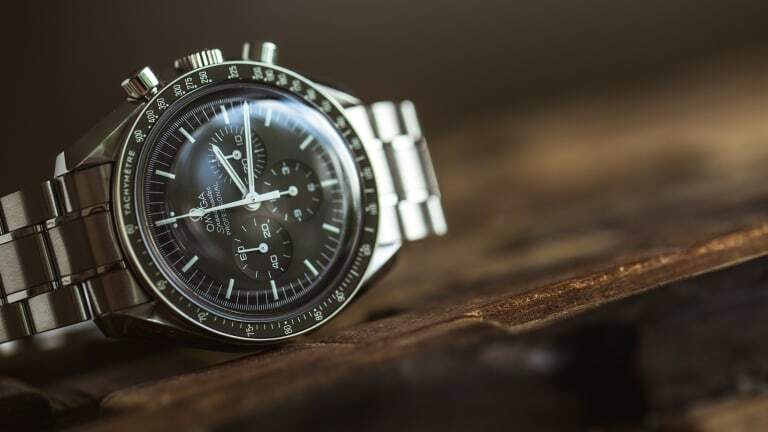 The Omega Speedmaster, one of the coolest sports watches ever produced, achieved its iconic status when it was the first watch to be worn on the Moon in 1969. This was no product placement deal but rather the result of rigorous testing by NASA. 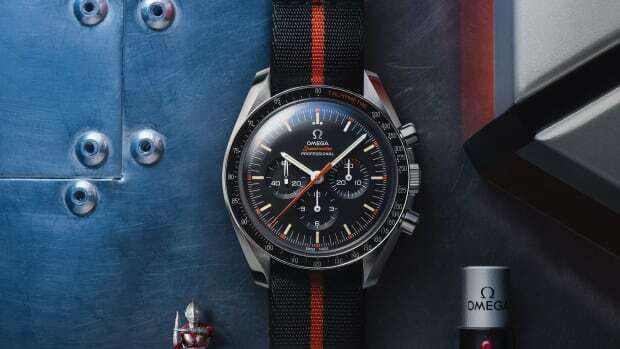 Omega then renamed the manual-wind "Moon Watch" the Speedmaster Professional and enjoyed many years of producing mission-critical timepieces while simultaneously paying tribute to its racing heritage. 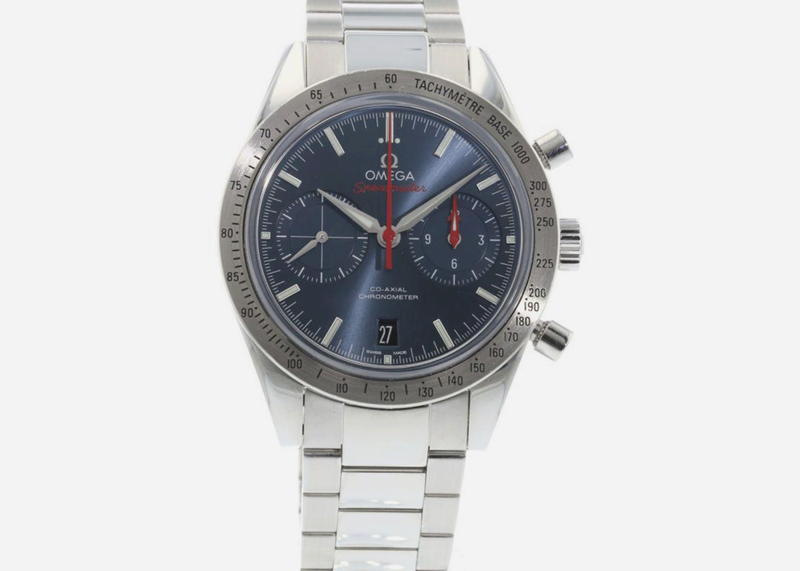 The Speedmaster or "Speedy" has undergone many modifications and updates over the years, and Omega has released many commemorative and limited edition versions as well. 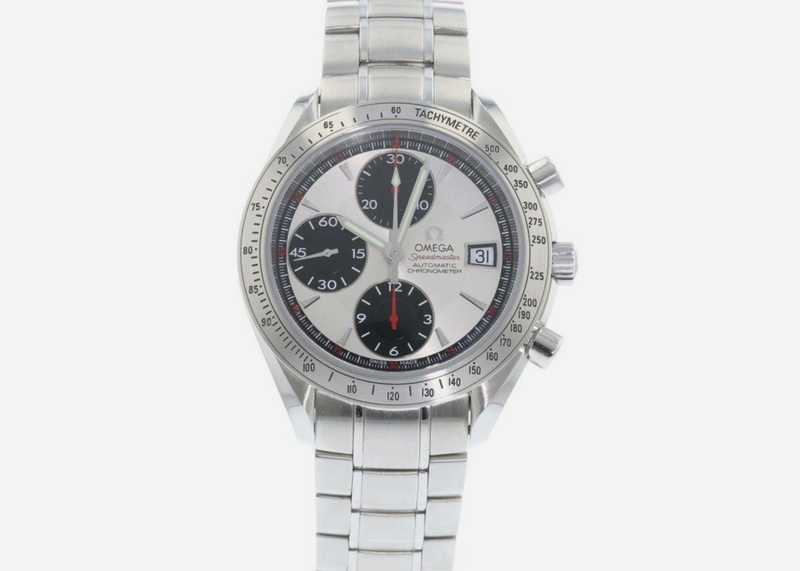 When looking at vintage and pre-owned models, you can generally separate them into Professional models and all the rest. 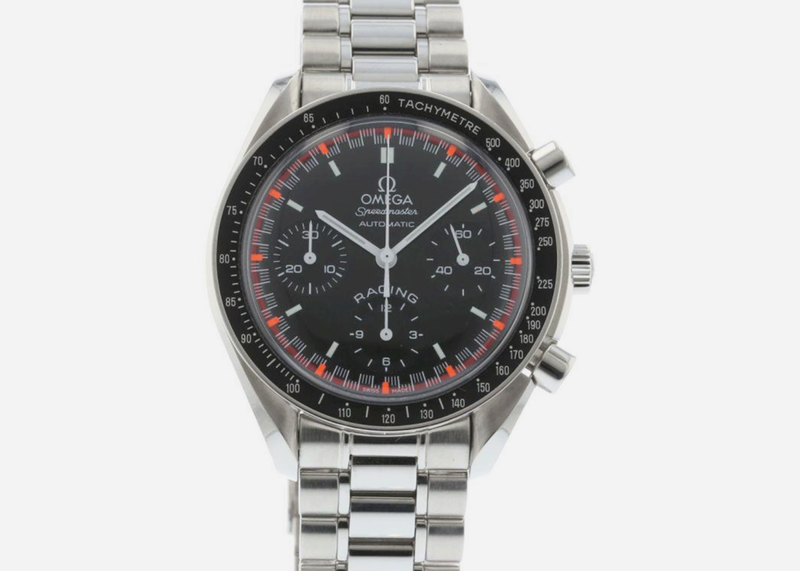 As one of the all-time great racing drivers Michael Schumacher was a natural partner for Omega; so-called "reduced" models with automatic movements are among the least expensive Speedys. 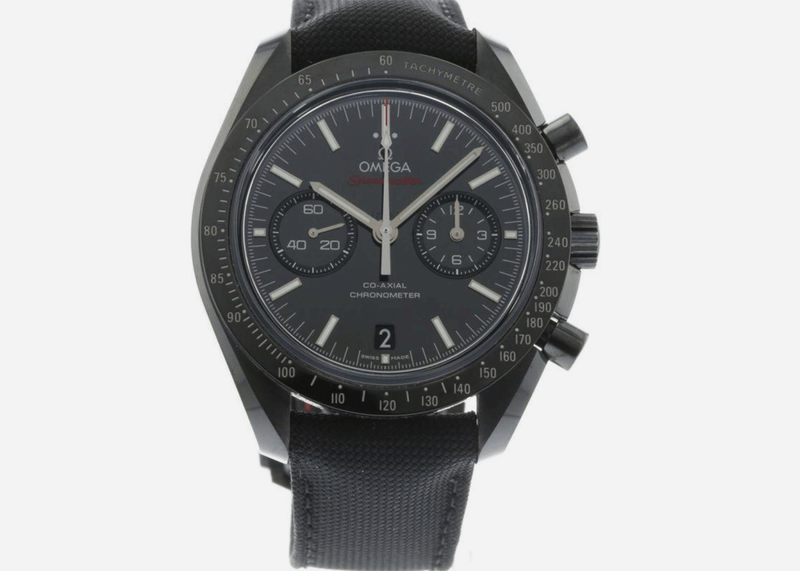 Perhaps the coolest of the modern Professional special editions, this blacked-out ceramic version is a great, and essentially badass, update. 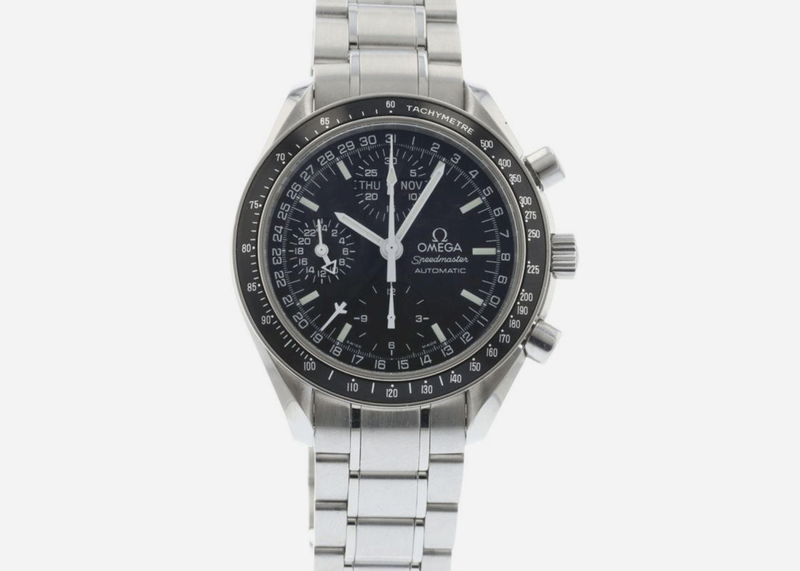 Just about the cheapest way to get a Speedmaster on your wrist, Automatic Day-Dates have great style though they aren't as highly valued by collectors. 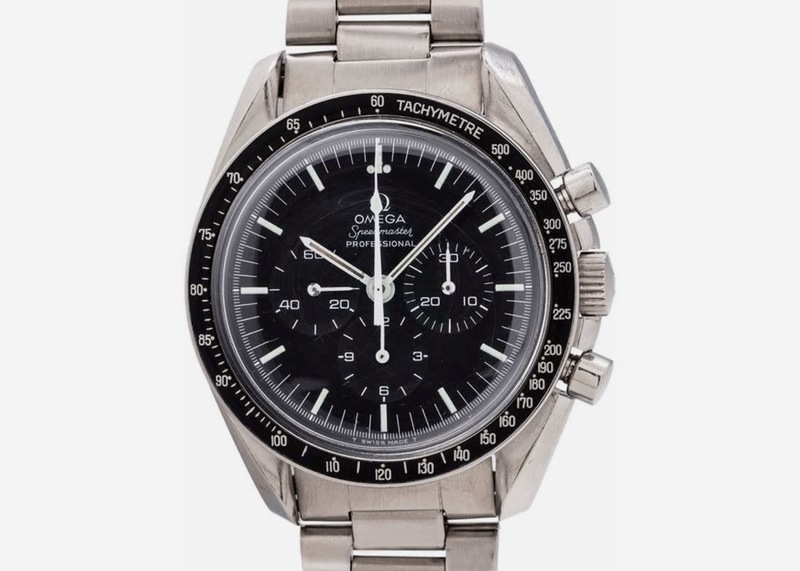 The groovier Mark II, introduced in 1969, eight years after the original Speedmaster, has been steadily climbing in value as its distinctive looks gain appreciation. 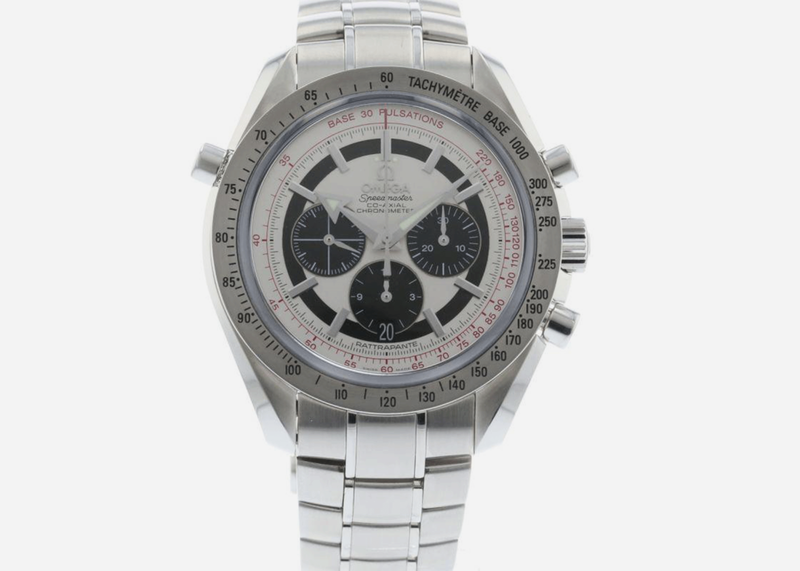 The white face and black subdials lend this very affordable Automatic a bit of Paul Newman Daytona flair. A solid investment for the price. 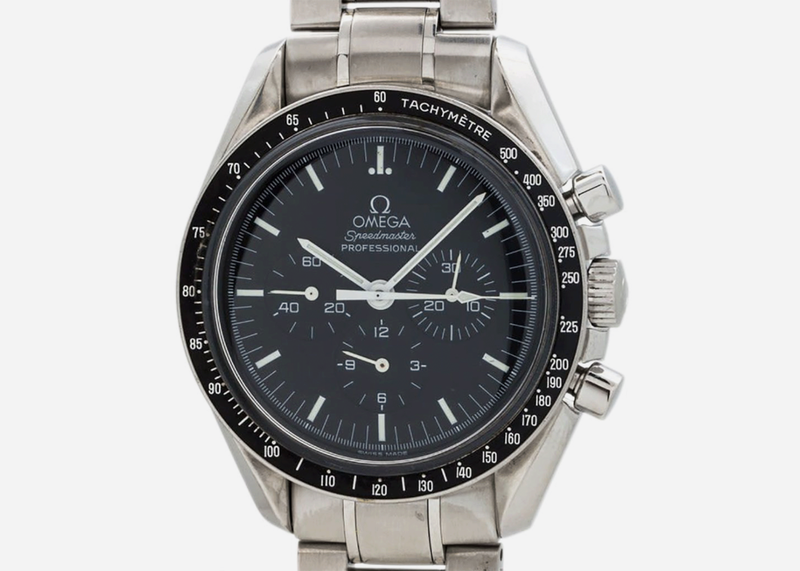 A stunning and absolutely mint 1974 model, this is one of the most coveted vintage Professionals and as such commands a pretty hefty price. 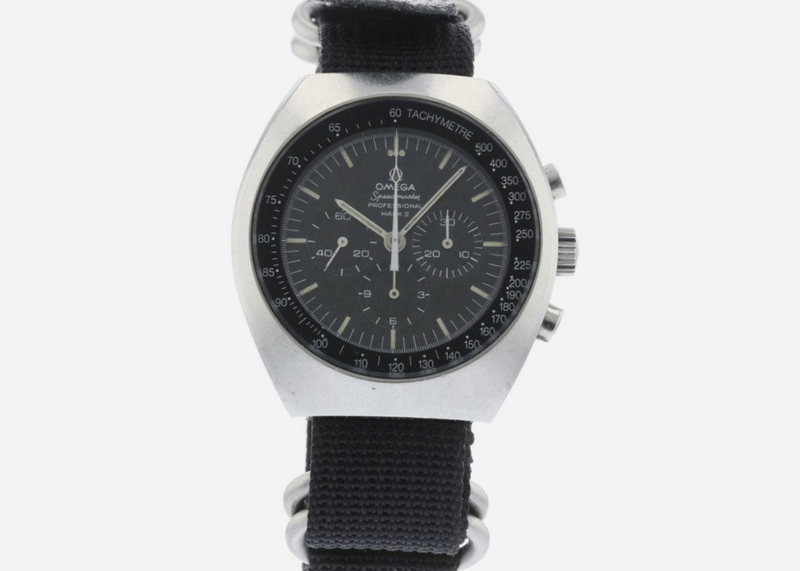 A rare variant with both the broad arrow hands that graced the earliest Speedys with a split-seconds chronograph function that lets you time two intervals instead of just one. 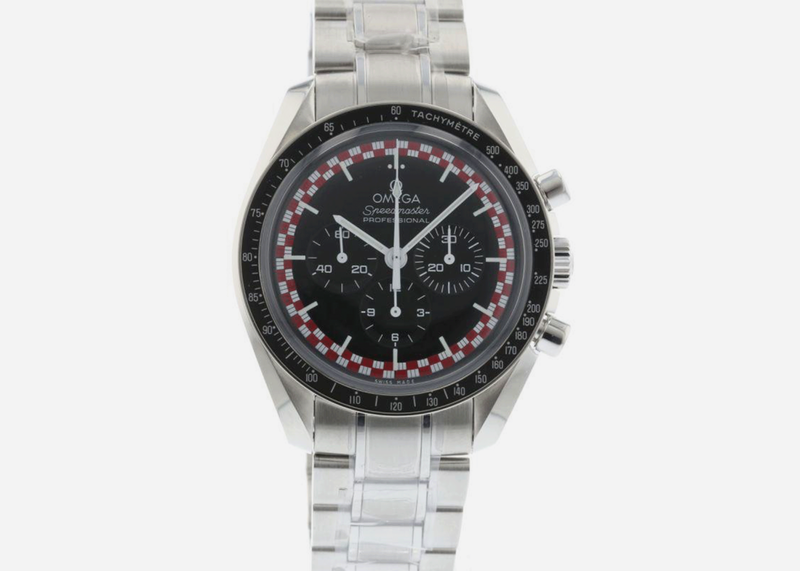 The story goes that the famous rocket ship from the Tintin books was supposed to be on the dial, but after a disagreement, only its red-and-white design motif remained. A relative rarity. 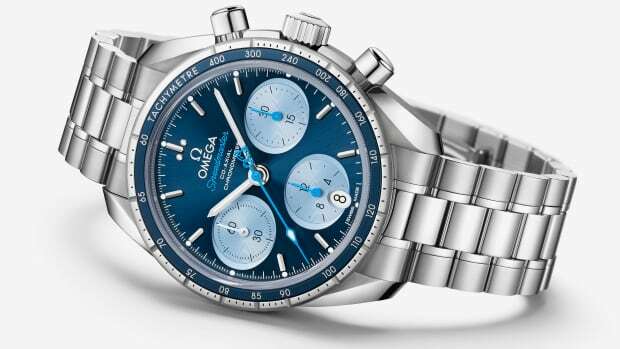 One of the only blue dial Speedys in existence, this re-issue of a classic early design gives the famous watch face a cool dose of color. 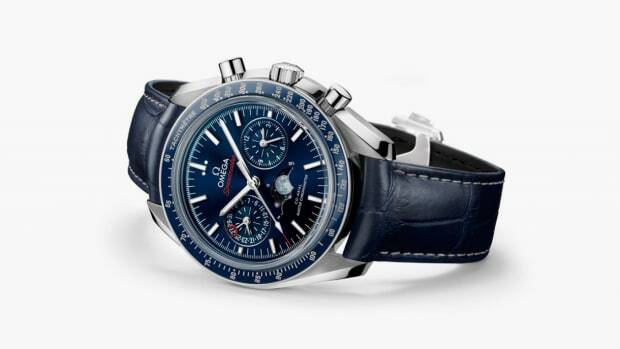 Made to commemorate the 30th anniversary of the Apollo 11 mission which landed the first men – and the first watch, a Speedmaster – on the Moon in 1969.